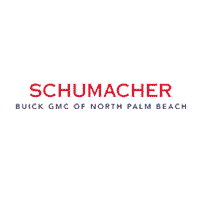 Trust Schumacher Buick GMC of North Palm Beach for quality service, maintenance, or auto repair in FL. From routine maintenance to larger repairs, nobody knows your vehicle better than our Certified Service experts. Schedule an appointment today to take advantage of our current service offers on oil changes, brake repair, batteries, tires, and more. On purchase of Schumacher-Installed genuine GM parts transmission. Eligible on 2006 or older GM vehicles. **Fully transferable Limited Warranty for 3 years/100,000 miles on automatic transmissions or 1 year/12,000 miles on manual transmissions, whichever occurs first. ***Turning or replacing rotors, all other services, and tax extra. Excludes select vehicles. Retail customers only. See participating dealer for eligible vehicles and details.